Not a statement I had envisaged making any time soon. I am, of course, referring to the great debate of prescription law in Scotland. Finally, we have a greater degree of certainty about when the five year clock starts ticking for prescription purposes following the Supreme Court’s 30 July landmark ruling in the case of David T Morrison & Co Ltd (t/a Gael Home Interiors) v ICL Plastics Ltd & Ors  UKSC 48. So what exactly has caused such a stir amongst Scottish lawyers and insurers? By way of background, on 11 May 2004 an explosion occurred at ICL’s factory in Glasgow. Nine people perished and there were many casualties. Mr Morrison’s shop was also damaged. It was not until later that it became apparent that the damage was caused by ICL’s negligence. So whilst at the time of the explosion the loss was apparent, the cause of that loss was not. In Scotland, court proceedings generally need to be issued within five years of the breach of duty or negligent act. Failing this, the claim is effectively time barred, under section 6 of the Prescription and Limitation (Scotland) Act 1973 Act. Mr Morrison issued proceedings in August 2009, claiming damages against ICL. In doing so, he relied upon section 11(3) of the 1973 Act, which postpones the date from which the prescriptive period begins to run. This is where “the creditor was not aware, and could not with reasonable diligence have been aware, that loss, injury or damage caused as aforesaid had occurred” until a later date. Morrison’s point was that the clock ought to start ticking from the date when it was apparent that the damage was due to fault as opposed to accidental circumstances. Ordinarily Morrison’s plea for postponement would, on balance, have been accepted as the way to progress his claim for damages. We all know that the law of prescription in Scotland is a minefield and much less user-friendly than the law applicable in England & Wales. With reference to the Supreme Court decision, the case provides that the “appropriate date” can only be postponed under section 11(3) if the pursuer was unaware or could not reasonably have been aware, that they had suffered a loss, ie in cases where the damage is latent. The fact that a pursuer is unaware of negligence is no longer relevant for prescription purposes. The significant question is what this means for lenders pursuing claims for professional negligence. As soon as a loss is sustained, for example at repossession, then investigations need to start to work out whether an individual, company or partnership etc is the cause of that loss due to breach of delictual duties/tort or contract. If the source of the loss cannot be identified within the five year period and court action is not issued, then the claim is effectively extinguished. That analysis appears to fall in line with the mischief of the 1973 Act. The point being that it is intended to guard against the issuing of claims many years after the date of the breach and/or negligence. The prevention of historical claims appears not to have been achieved if claims can validly be raised many years after the negligence occurred. For example, if a borrower continued to make mortgage repayments over a period of 19 years (on a 20 year loan) before defaulting. On one analysis no loss occurred until the date of default and the prescriptive period would start to run at that point. 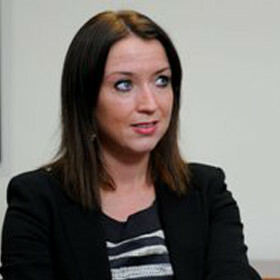 The consequence is that a claim against the solicitor would not prescribe until 24 years after the negligence occurred. It is likely in that scenario that the bank would be held to have suffered a loss as soon as the loan was advanced. Parties require certainty as to what their rights are in terms of pursuing claims whether to their benefit or not. Whilst the “appropriate date” is now clarified, the debate continues as to when the loss actually occurred eg the date of the advance, default, upon repossession, post repo completion sale etc. The court’s decision brings greater certainty to an issue that has always been fraught with difficulty. The court has had regard to the underlying rationale of the 1973 Act, which is to ensure that claims that are not pursued are extinguished after a set period of time. This is consistent with the public policy considerations on which the legislation is based. No doubt there will be further developments, as recommended by Lord Hodge for clarification of this “not so grey area”. The Supreme Court acknowledges that reform in this area is necessary and somewhat overdue. The timing of proposed reform is however unclear and I suspect not any time soon. Republished with kind permission. This post originally featured on TLT Solicitors’ website and can be accessed here. Karen Cornwell is a Notary Public and qualified as a solicitor in Scotland in 1999 and England and Wales in 2010. Her background has exclusively been in litigation with a strong emphasis on all manners of commercial, property, banking litigation and professional negligence. Karen is one of only nine solicitors to be Accredited as a Specialist in Professional Negligence Law by the Law Society of Scotland. Leave a reply on "Case Comment: David T Morrison & Co Ltd (t/a Gael Home Interiors) v ICL Plastics Ltd & Ors  UKSC 48"